The capital city of the province of Umbria, Perugia is a city in central Italy with a long Etruscan history. 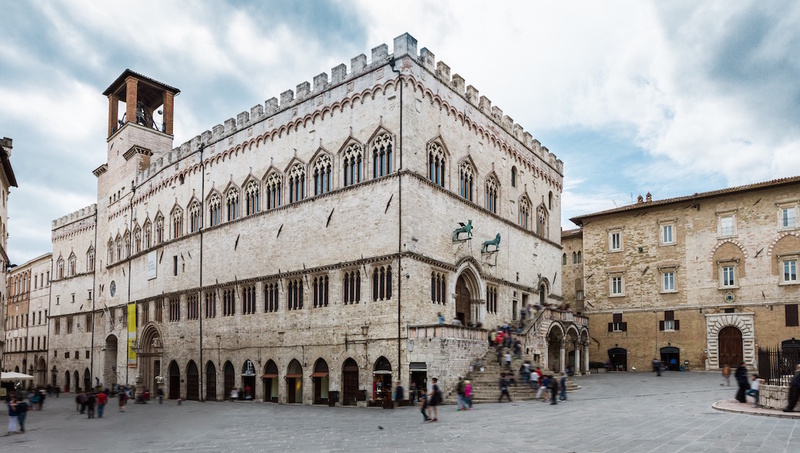 Whether you come to Perugia to experience jazz in the summer or sample chocolate at the Eurochocolate festival in the fall, don't miss the lush history of the city. The Galleria Nazionale dell'Umbria is an art historian's paradise and is certain to evoke a great ardor for the school of Umbria--an important school of painting in Italy. The Palazzo dei Priori is one of the oldest communal gathering grounds in Umbria. Stop by and take in the view, the architecture, or a treat from the market in the center. One of the oldest churches in Perugia, the cathedral has beautiful frescos and even a garden. Guided tours are often given by monks and are an excellent way to get to know more about the featured sculpture and artwork. You absolutely can't miss the Collegio del Cambio where you can see some works of the master painter, Pietro Vannuci, who went by the nickname Perugio. A must see for any fresco fanatic. The San Domenico Perugia has a beautiful facade. Plus, the church is conveniently located just ten minutes from anywhere in the old city. 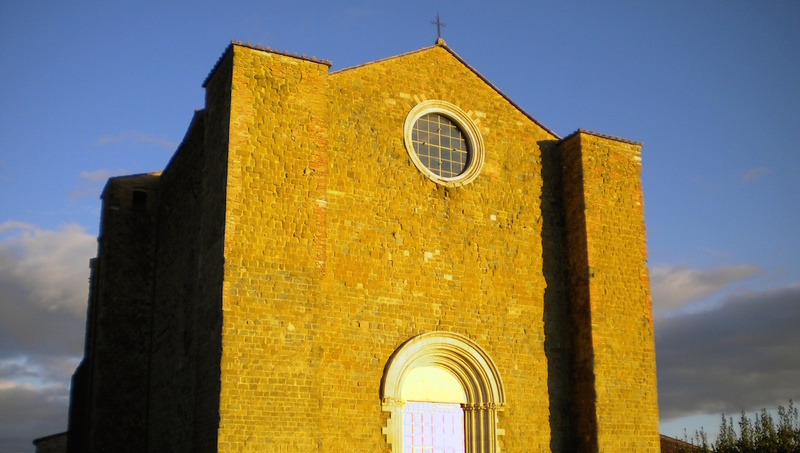 Commissioned by the Templars, San Bevignate is a 13th century church. Keep in mind, there are no photos allowed so the only way to see the San Beivignate is to pay a visit. 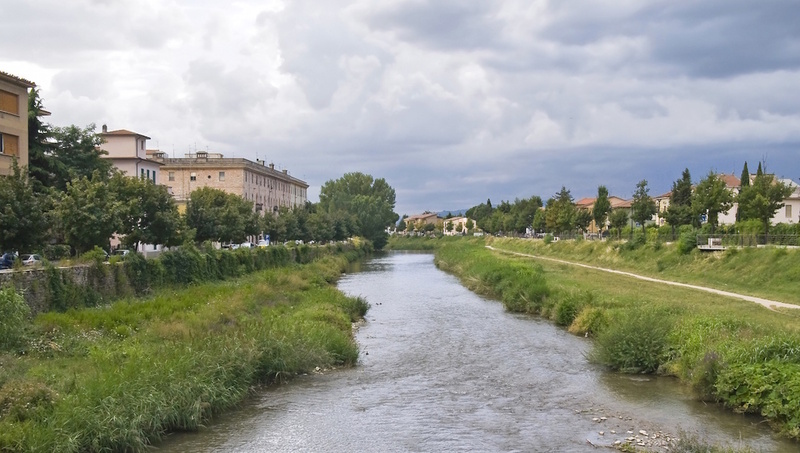 When you're in the mood for a day trip from Perugia, take a trip to Topino River. Just 15 miles outside Perugia, the river was made famous by Dante and flows into the Tiber. What to eat in Perugia? When you're sightseeing in Perugia and you've worked up an appetite, make sure to sample some Torta al Testo, which is sweet or savory bread and translates to "cake on a tile." Perugians eat their torta with a variety of vegetable and meat fillings, similar to a sandwich. How to get around Perugia? 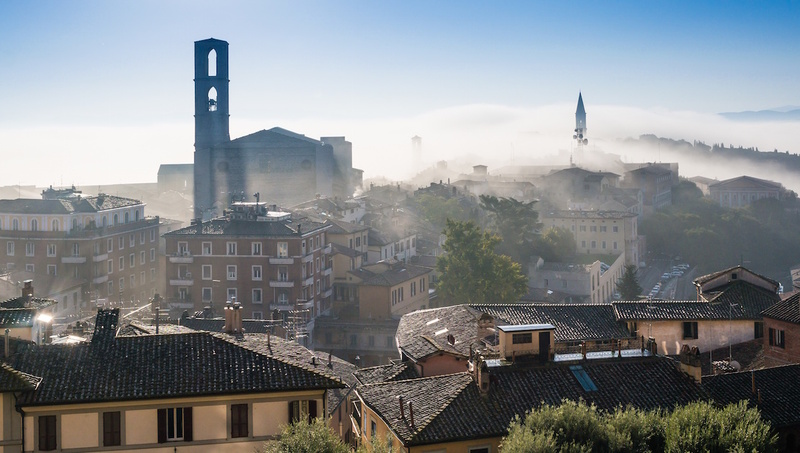 The easiest and quickest way to get around Perugia is on foot. The historic city center and old town are located about ten minutes from each other. If you want to travel further outside the city, take a local bus or hire a taxi. The best time to visit Perugia is between June and September, when the weather is warm. The summers won't get warmer than the high 80s, so pack light! December and January are the coldest months, with temperature approaching 30 degrees. Want to discover all there is to do in Perugia? Click here for a full list. Wonderful day, fabulous guide, would use this service again. Our guide listened to our interests and tailored our tour to meet them. He was very knowledgeable about the area and made great decisions regarding places to visit. He was one of the best guides we have used. We can't thank him enough for a great day. Tour was beautiful , spiritual and memorable! Loved the free time to explore the cities on my own. Although I understand the problem having 3 people on this tour who needed a Spanish language interpretation, it did add time to the tour. Was that what caused us to be over an hour late returning to Florence? I had people waiting for me from 7:45 based on the tour description and stated return time of 7:45. They (and I) were not happy with this unacceptable delay - which was something we were informed about as we were leaving Perugia. However, Alfonso was a great tour guide as was the guide in Assisi. And our driver was also very good.